What is it about magic that makes it so addictive? Sure, we'd all love superpowers. But real-world magicians are fascinating for the way they can make the impossible seem possible. I love movies about magicians in the same way that I love heist movies or a great crime TV show (my favorites are the Ocean's Trilogy, Guy Ritchie's blockbusters and TV show Elementary): The thrill of seeing a problem that can't be solved, then watching it get solved anyway. While writing Coin Tricks, my novel with a street magician romantic lead, I had a great excuse to delve into stories about magicians. Here are my three favorites, and what I think makes them so great. What makes John Constantine a stand-out magician is how seldom he uses magic. Each volume of the comics follows an arc: John gets into trouble, he wise-cracks as the mystery deepens and he digs himself further into trouble as you start to think his enemies are stronger/better/smarter than him, then finally (usually in the last few pages of the comic) he delivers a scathing come-back and a simple piece of magic that bring him out victorious. Hellblazer hasn't translated to the screen well. 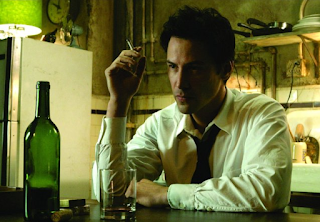 First Keanu Reeves played JohnConstantine deadpan and skilled at fisticuffs with a comic-relief sidekick. 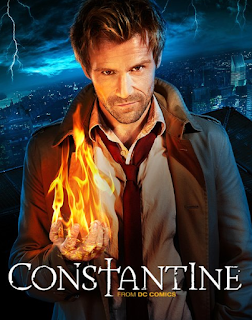 Nearly 10 years later the TV show cast Matt Ryan as closer to the Sting-inspired comic book John Constantine. Unfortunately that decade delay between the movie and the show saw 10 years of Supernatural, a show with similar themes and a character (Castiel) dressed to look like Constantine. The sad fact is that by the time Constantine hit the screens, Constantine's image was already familiar and all the angel-and-demon themes had been done to death. But—like how I prefer the monster-of-the-week early format of Supernatural—I think the best Hellblazer comics aren't about a grand war between angels and demons, they're about a dirty magician just trying to get by. Highlights include the time Constantine embarrassed a whole group of white supremacists, the time he tricked a monstrous talking dog not to attack him by rolling on his back in a posture of submission, or that time a demon melded a gang of hooligans into one ferocious monster which Constantine destroyed by pointing out that different parts of it supported different football teams (so it tore itself apart). 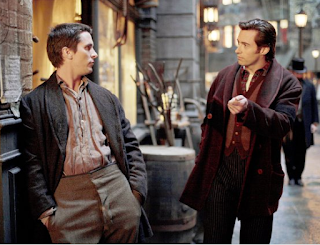 The Prestige is brilliant even if you don't frame it as a Batman vs Wolverine movie with illusion and sleight-of-hand in the place of superpowers. With an all-star cast and writer/director Christopher Nolan (of Inception, The Dark Knight and Memento fame, the latter two and The Prestige were also written with his Jonathan Nolan), it's no surprise that The Prestige is a complex and psychologically thrilling tale that's beautiful to look at. But what makes it the best magic film is the contrast between the different magicians—the two stars and their fabricators/mentors and assistants all have their own perspectives on magic and we're shown these different views seamlessly as part of the plot and character development. 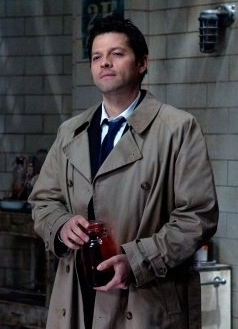 It's especially satisfying to see the difference in a successful magician who wants to be famous and out-do his rivals, contrasted with a successful magician who just wants to surprise and satisfy people and to hear their applause. 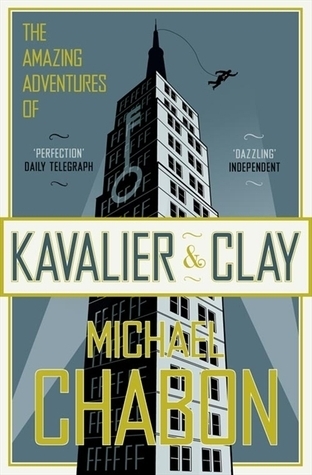 Michael Chabon's Pulitzer-winning novel is a brilliant blend of the pulp and the literary, showing that an intricate and emotionally-driven plot dealing with death, war, race and sexuality can still fit beside pop culture elements like comic books and superheroes. All too often we're told that anything fun is frivolous and superheroes only belong in popcorn-selling blockbuster movies, and that if a novel isn't serious and difficult to read then it can't be edifying so isn't worth reading. I never understood the appeal of the Golden Age of Comics until I read Kavalier and Clay. The plot focuses on two comic book creators in 1940's New York City and their struggles to create art (while getting paid) in the midst of war and turmoil. Their most famous creation, The Escapist, is inspired by Houdini, and both comic creators are passionate about performance magic. There's so much passion and joy in this novel (as well as plenty of misery and heartbreak), and it's so vividly written that you feel exactly what it was like to be a young comics creator in the boom of comics and superheroes. Magic and magicians weave their way through a twisting tale which also features superheroes, comic books, a massive clay golem and exquisite prose. What's not to love?